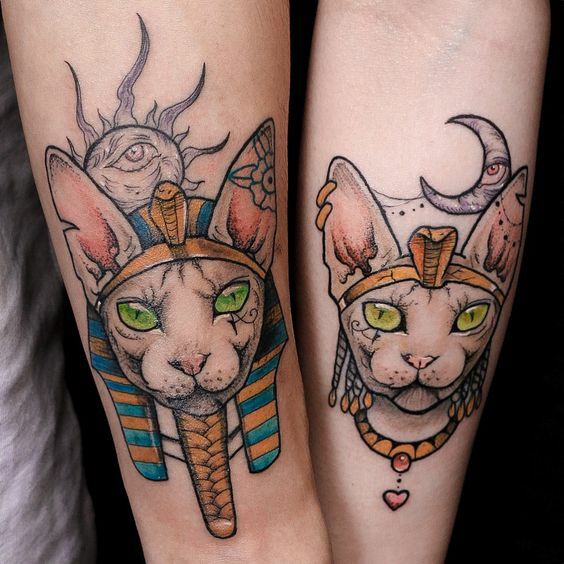 Animals co-exist with humans since time in memorial and are in the past, some were considered to possess powers or responsibilities beyond man. 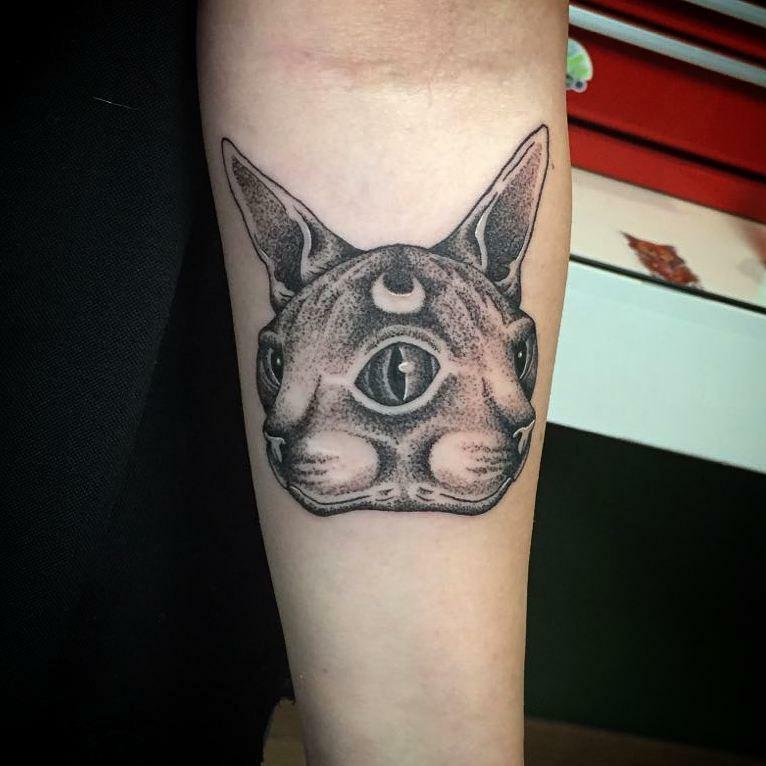 There are ancient and legendary animals that can only be seen through historical or fictional books while some were seen roaming the Earth hundreds of thousands of years ago. 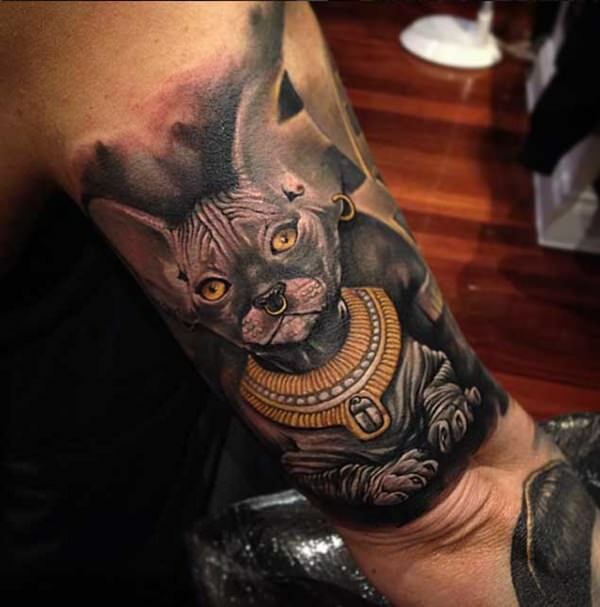 However, there is one particular cat-like figure that was believed to reside together with ancient gods, so praised that it has its own humongous statue beside one of the most famous wonders of the world. 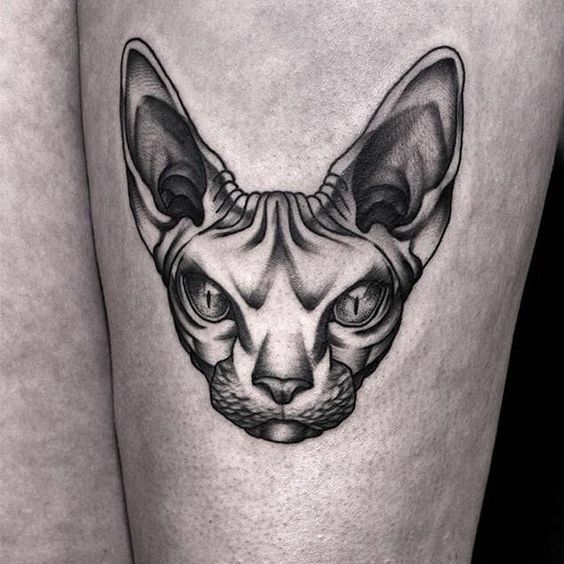 The Sphynx of Egypt is the inspiration of naming one cat breed that is existing today that looks like the legendary animal. 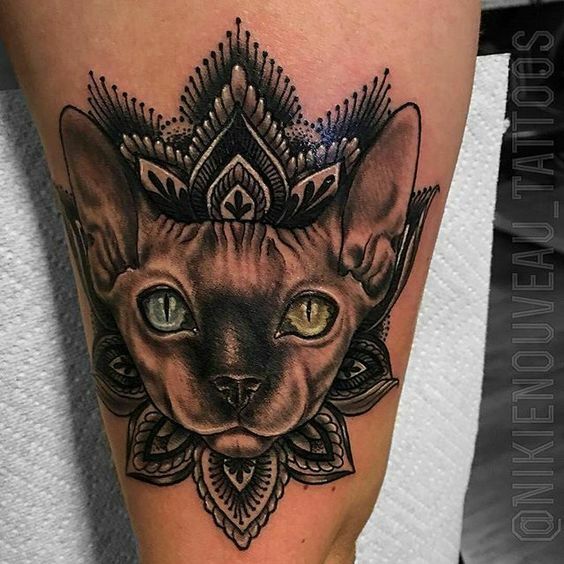 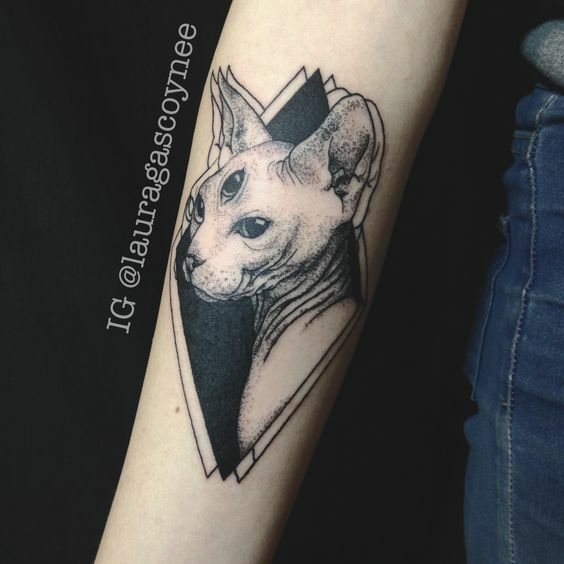 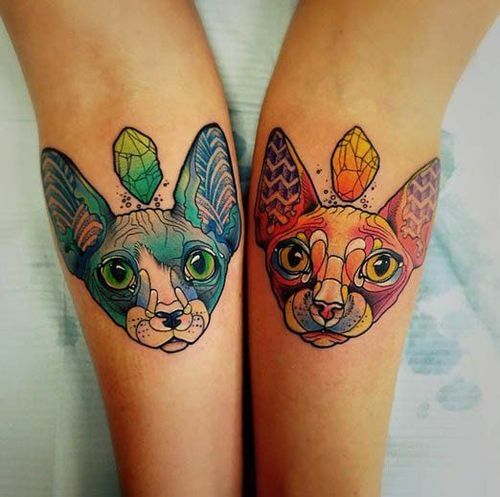 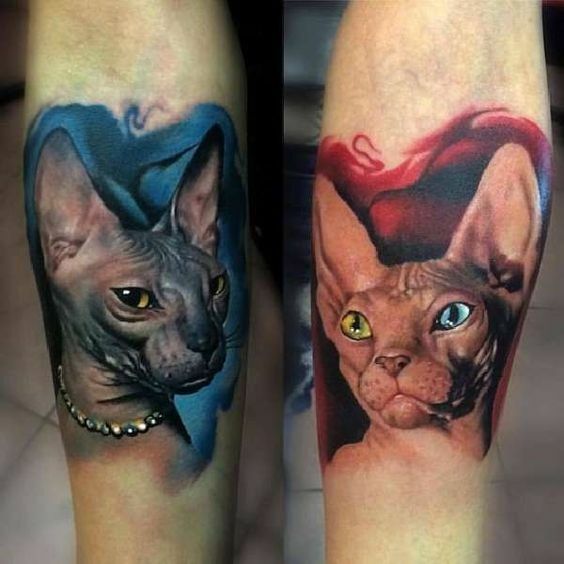 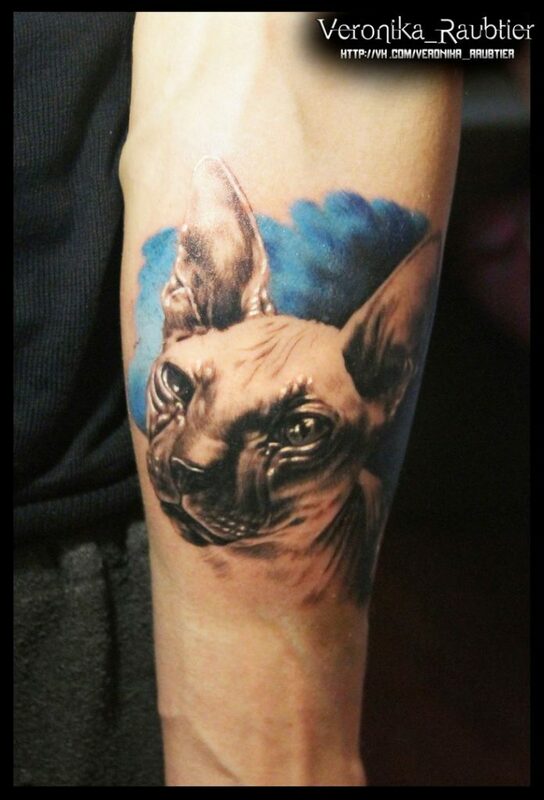 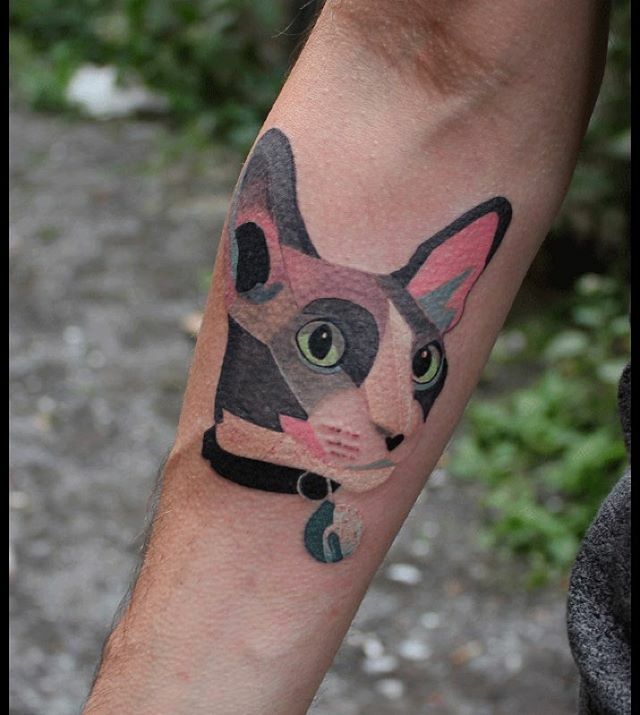 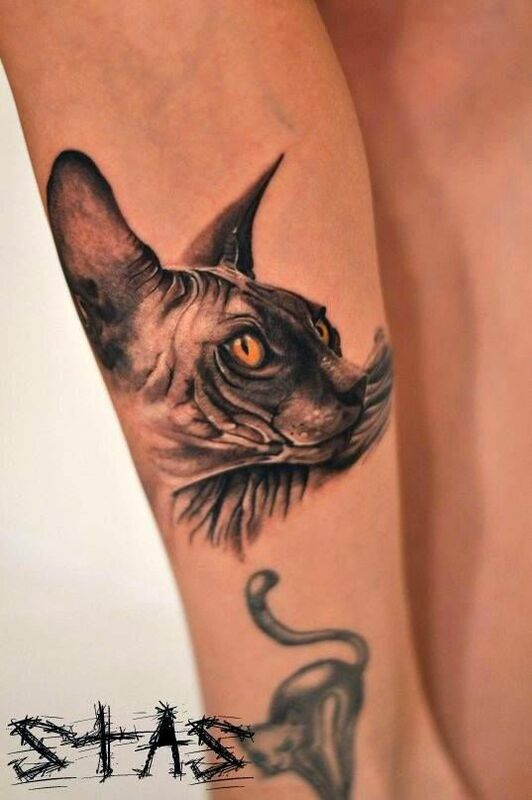 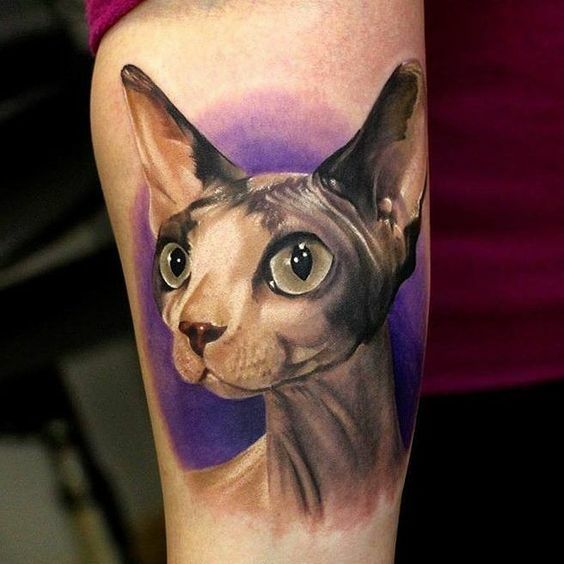 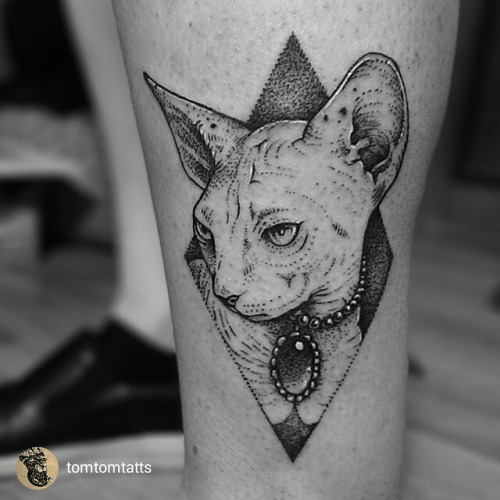 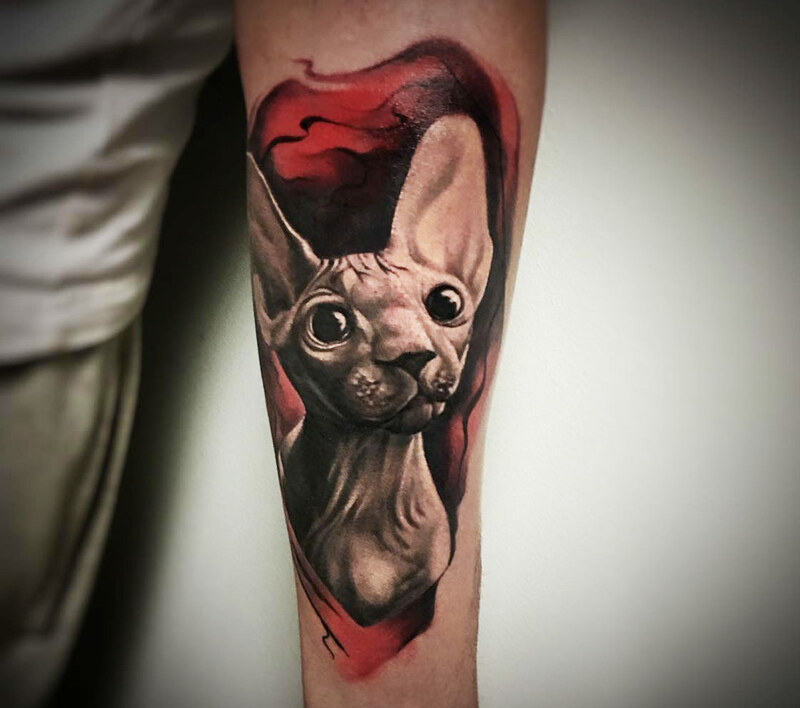 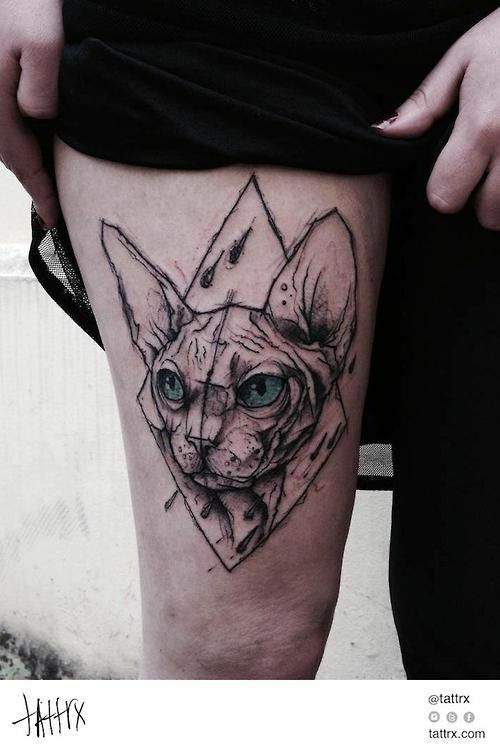 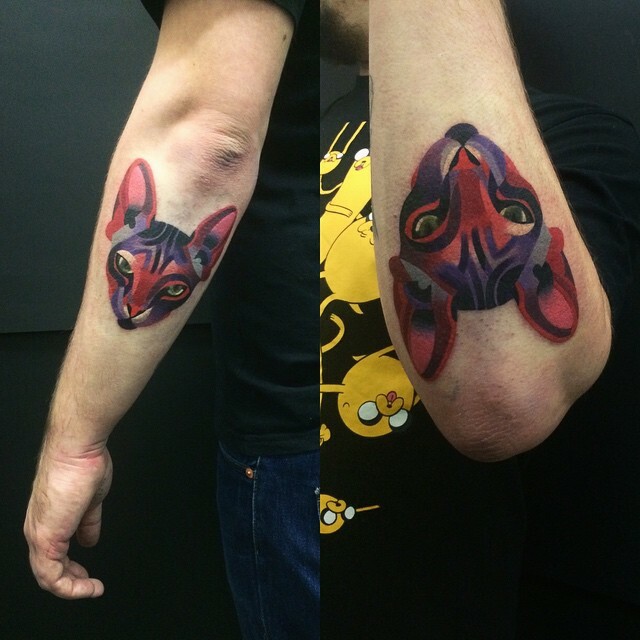 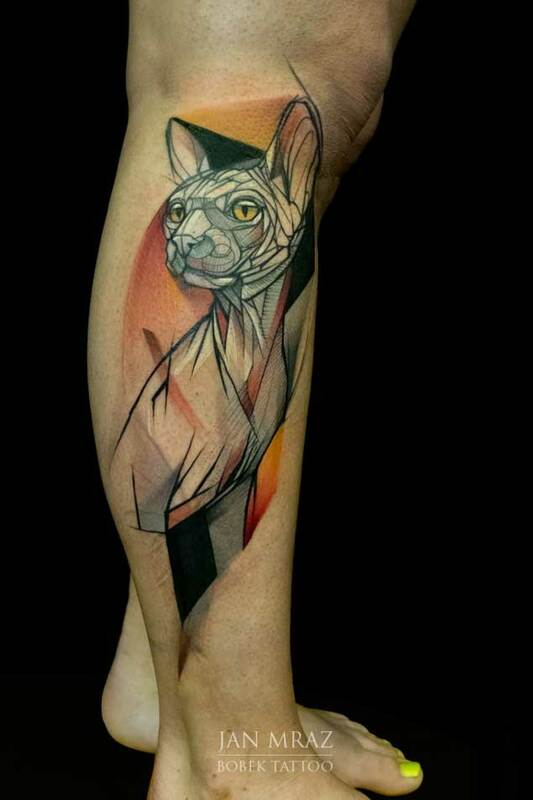 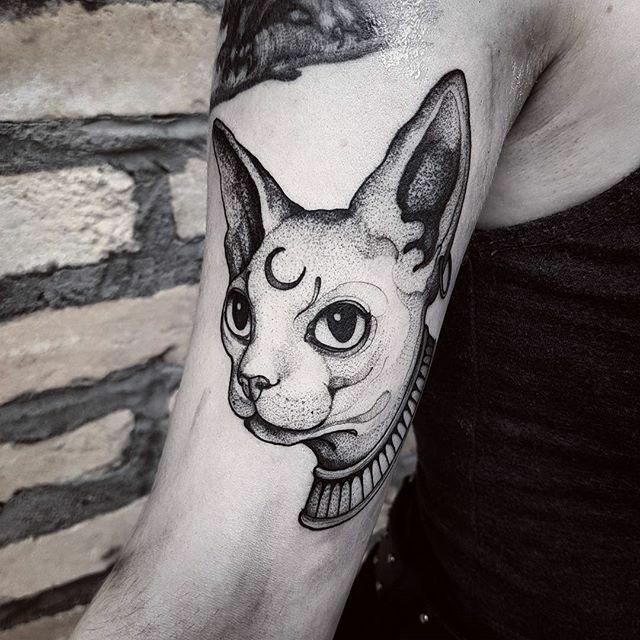 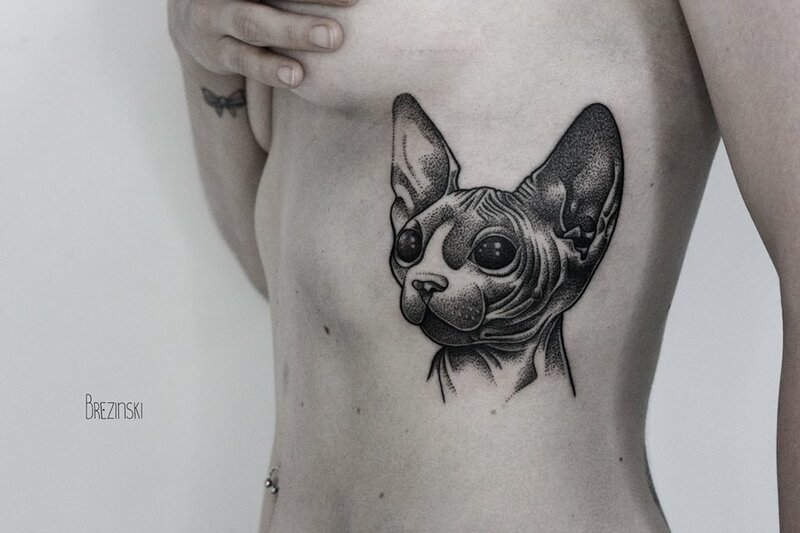 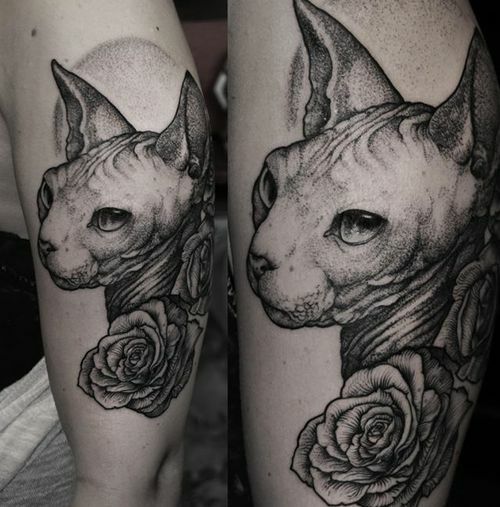 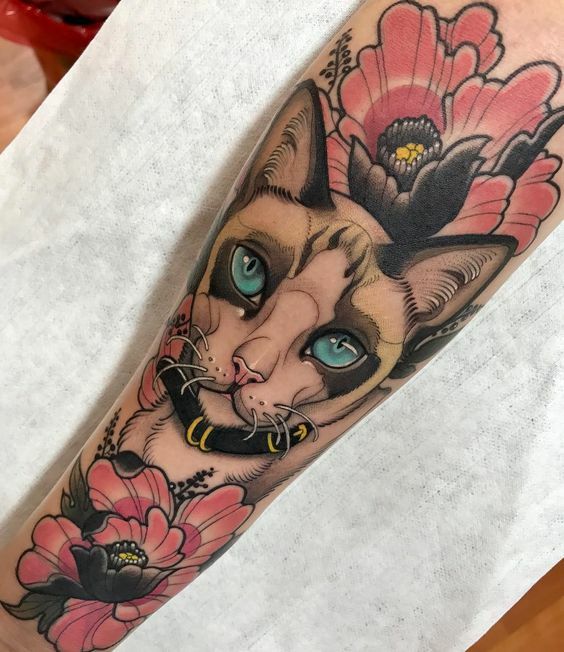 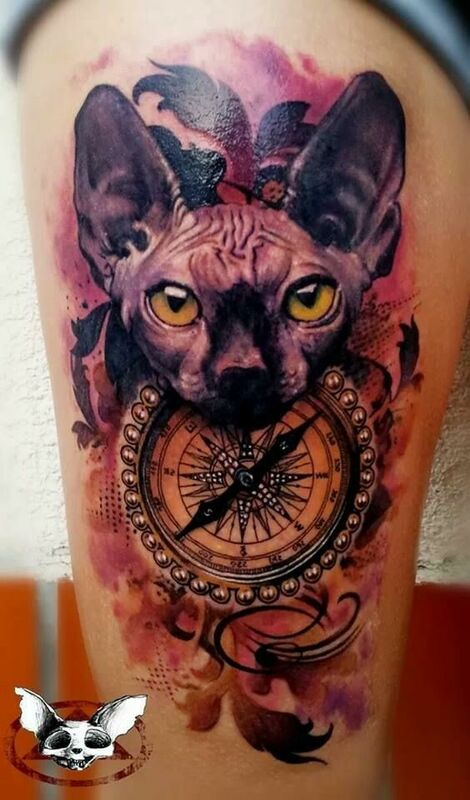 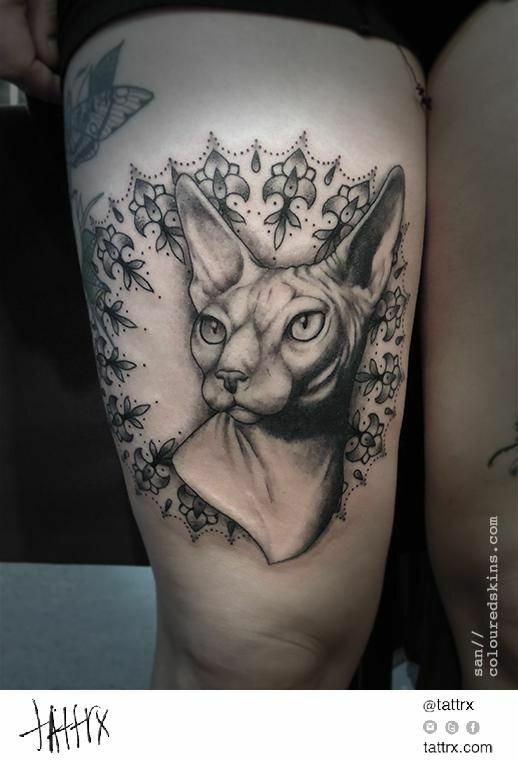 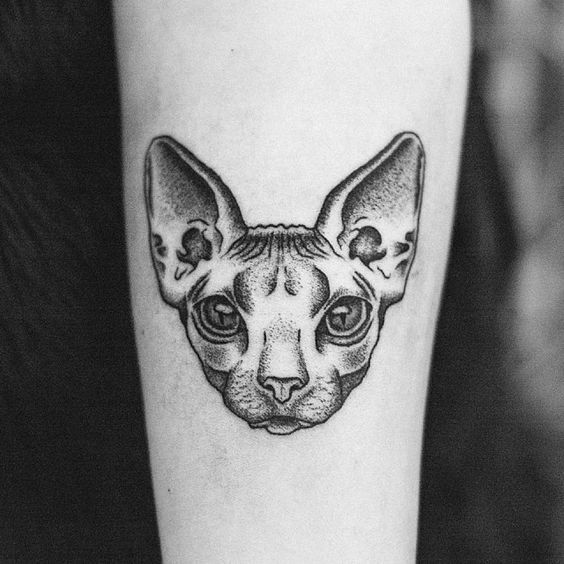 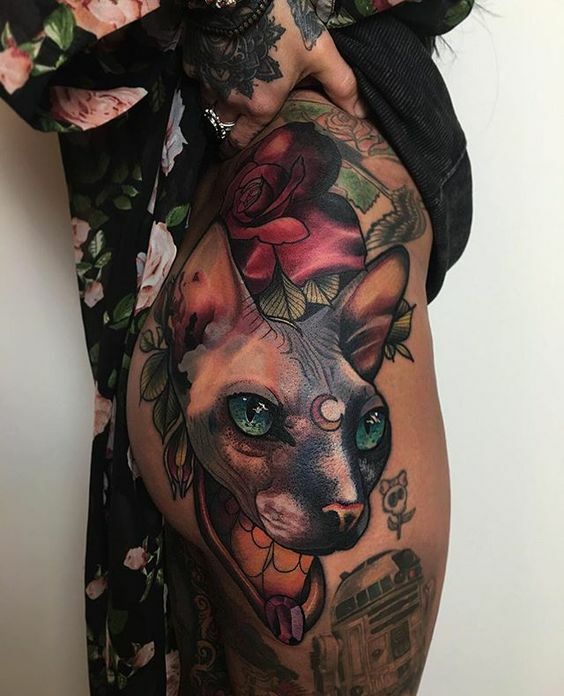 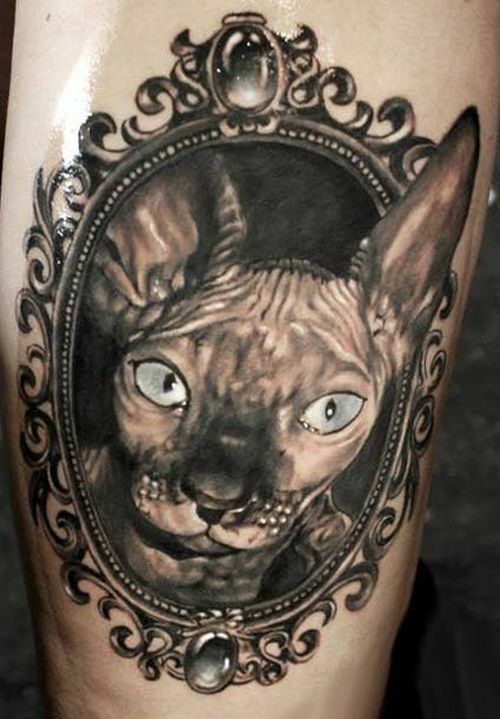 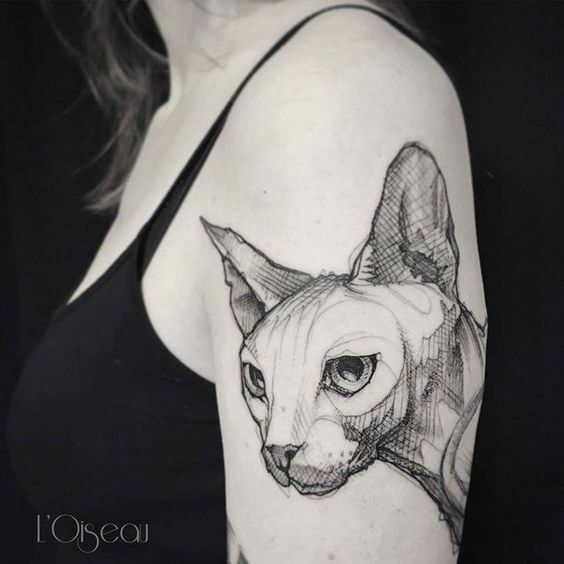 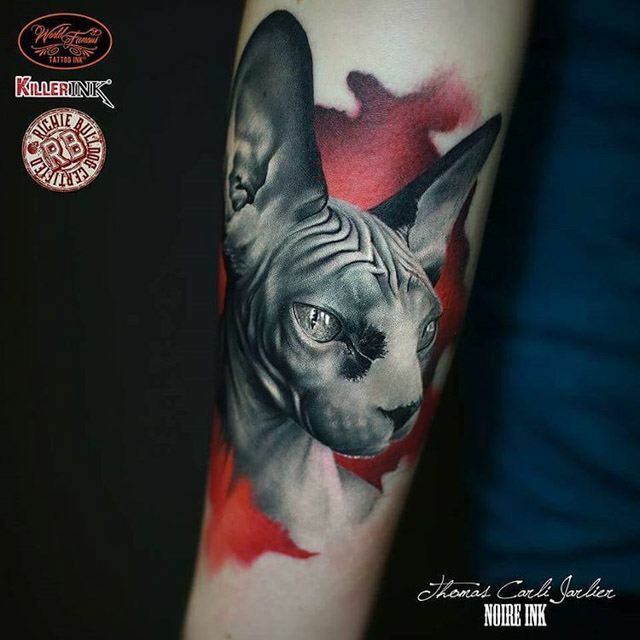 The sphynx cat’s appearance is so unique that it interests a lot of artists, including tattoo masters, and was made to a sellable design theme. 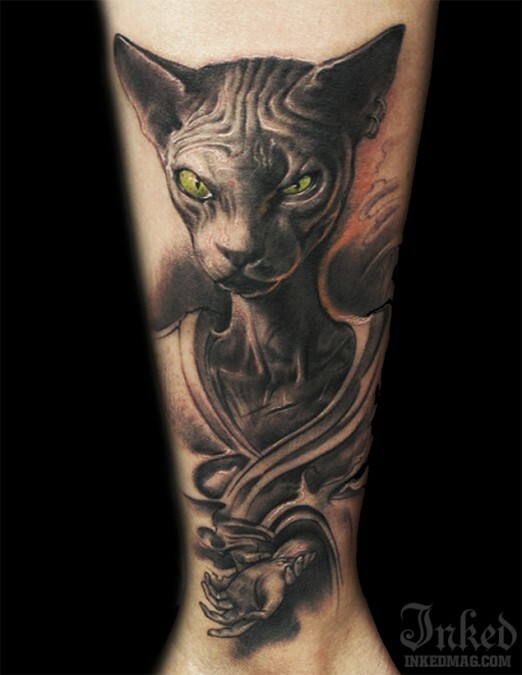 Showcased below are some of the best tattoo designs out there that has the sphynx cat as its main design. 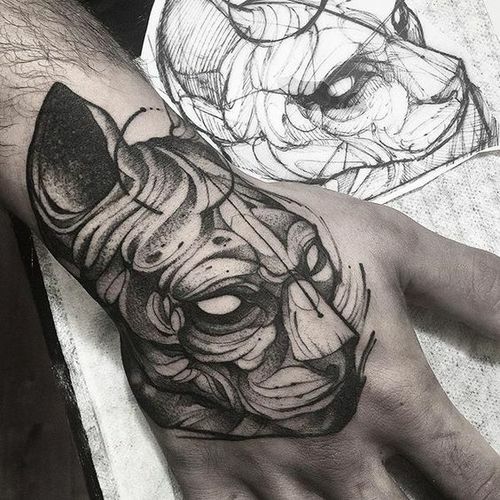 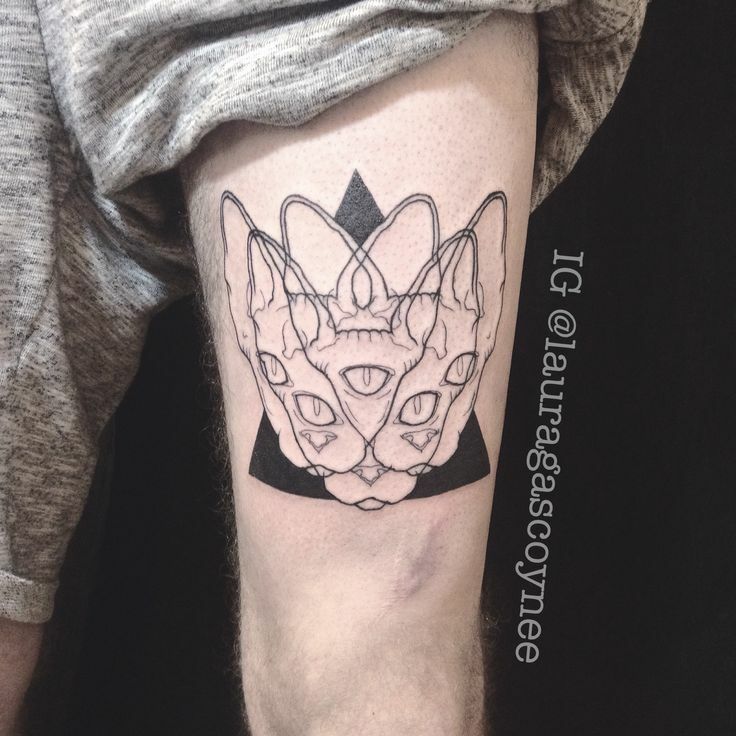 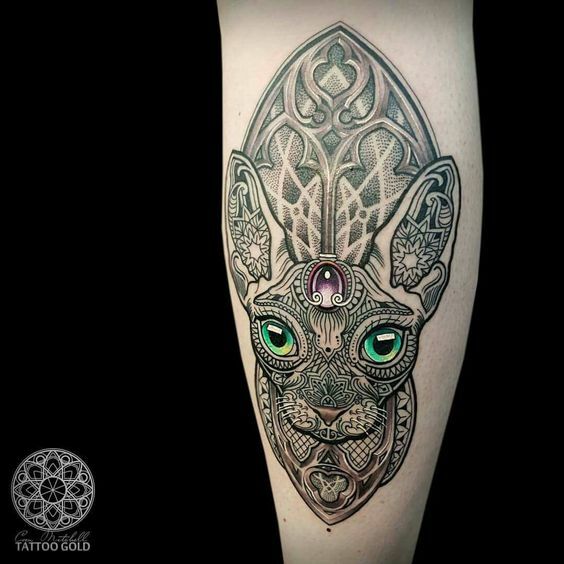 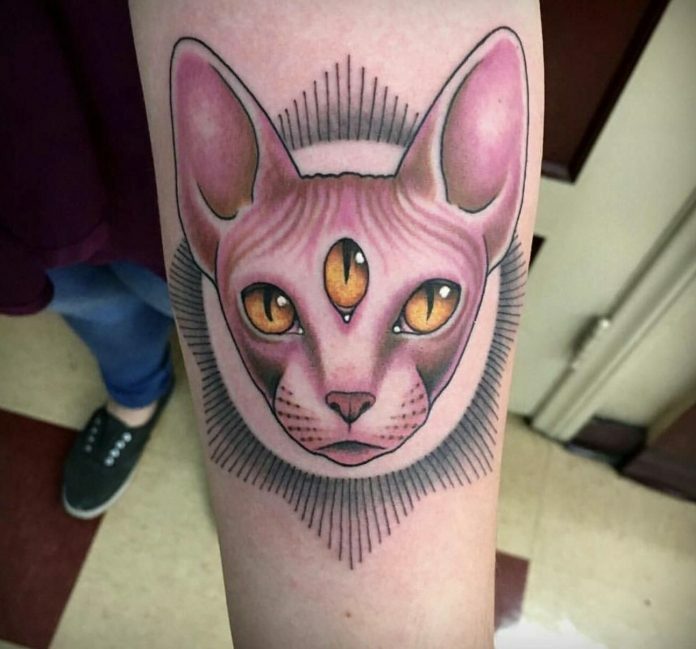 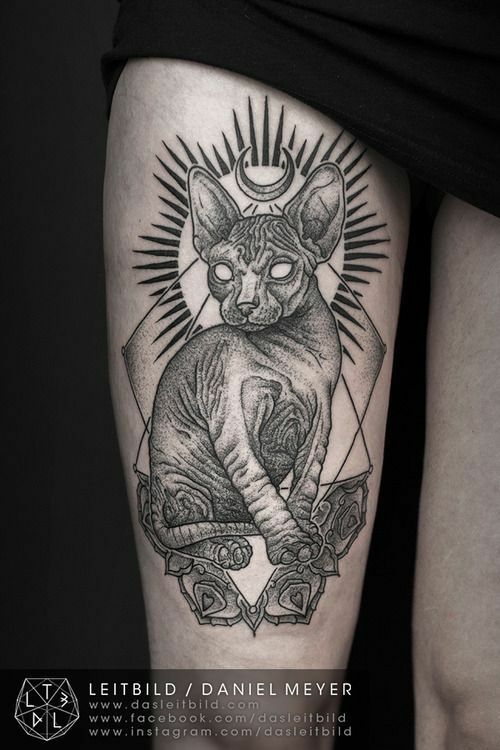 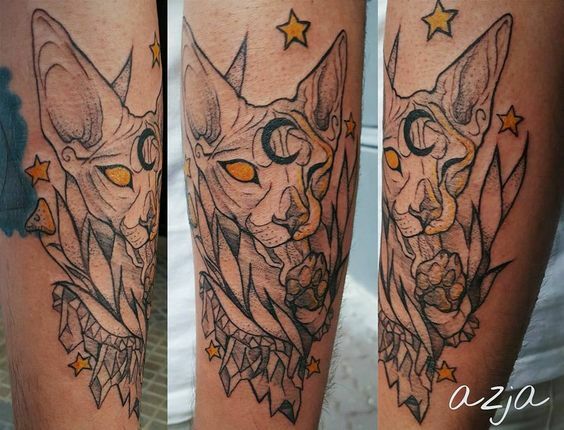 A lot of people may find it weird to see such an odd-looking cat as a tattoo design but for the enthusiast who owns one, the design has a touch of mysticism on it which is cool and very unique.